Eco-therapist, Amy Sugeno. Image from her Facebook page. Did you know that spending time outdoors may be the cure for people who are anxious about spending time outdoors? There are ions that come up out of the soil and tend to have these effects—like calming the nervous system. 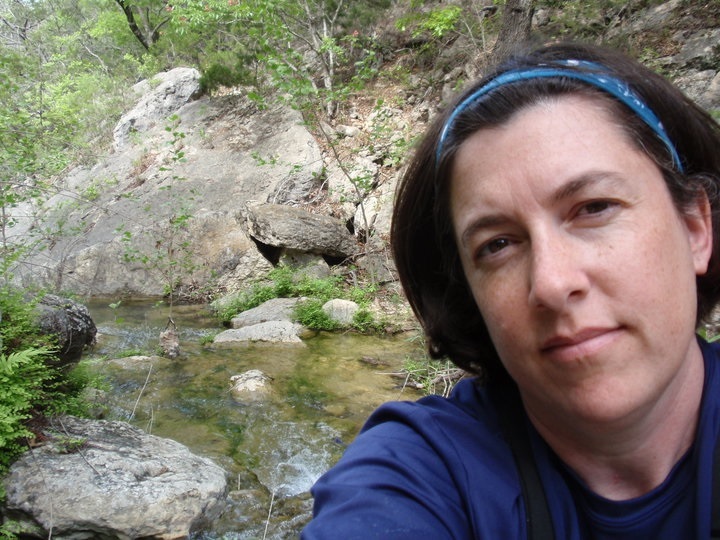 Former TPWD biologist, Amy Sugeno is a licensed clinical social worker and eco-therapist. She says medical researchers studied earthing, which involves direct skin contact with the surface of the Earth. Among its benefits, researchers found it produced feelings of well-being. Something as simple as gardening without gloves. Barefoot walking is kind of becoming more popular. You can just sit in your backyard, take your shoes and socks off, and just put your feet onto the grass, or onto the ground. Anxiety about spending time outdoors is common. Back when I was working for Parks and Wildlife and would take groups of children out, it would not be uncommon for a child to say, well wait a minute, are there skunks out here? Are there snakes out here? And I would be surprised because I’m so used to being out in the field. But it would remind me that there are anxieties for people. Other anxieties develop around whether one has the necessary skills to stay safe outdoors. Eco-therapist Amy Sugeno addresses the topic of outdoor anxiety and how to manage it during a segment in our new long-format podcast called Under the Texas Sky. Find it at underthetexassky.org or wherever you get your podcasts. You are currently browsing the Passport to Texas weblog archives for the day Wednesday, January 23rd, 2019.